PanARMENIAN.Net - Mobile developers from Armenia can from now on upload their apps and sell them on Google Play Store, the Ministry of Transport, Communication and Information Technology said in a statement. Up until now, app creators could publish only free apps on Google Play, but they are now free to put paid apps or those with in-app purchases on the official app store for the Android OS. The reason for the delay is that Armenia was not authorized by Google to have its developers place paid apps on the Android marketplace. Local companies had to open developer accounts in third-party countries and pay sales taxes there. Furthermore, Google would send the money only to bank accounts opened in those particular countries. 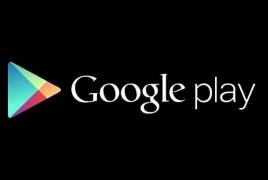 Now, Armenian developers can sell their apps on Google Play and make profit.